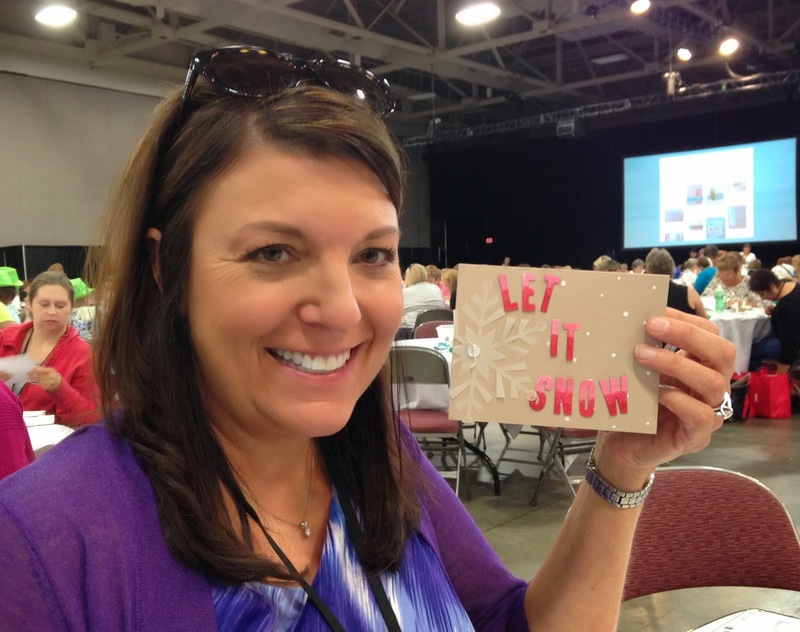 Inspire, Create, Share 2014 was one of the most fun conventions I have been to with Stampin' Up!. I took a class using the Watercolor Winter Simply Created Card Kit (135869 $24.95) which will be available in the new Holiday Catalog starting August 28th! The Watercolor Winter Simply Created Card Kit comes with everything you need to make 5 each of these 4 cards for a total of 20 cards and envelopes. There are 10 Coastal Cabana envelopes and 10 Crumb Cake ones. 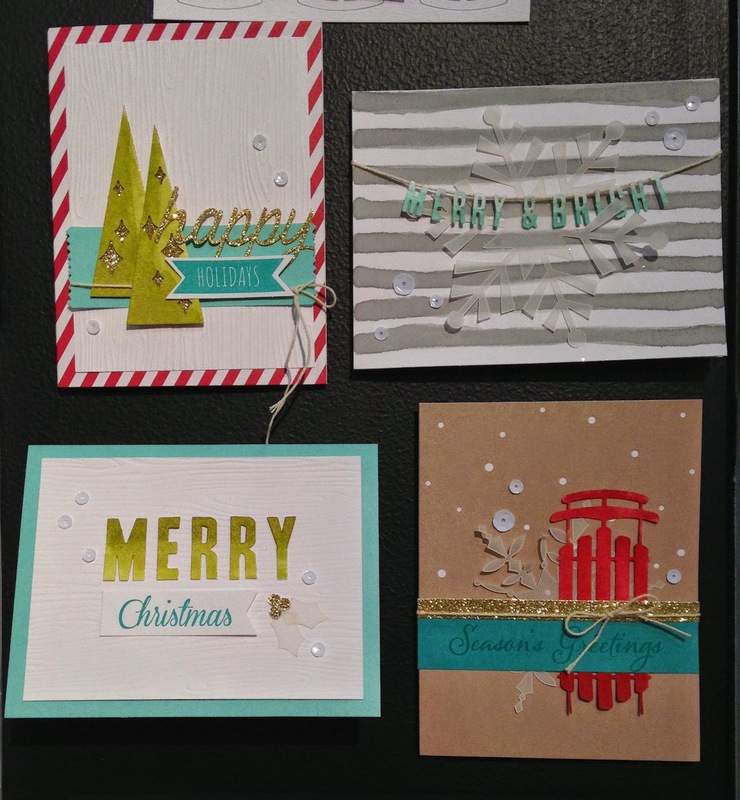 In addition to showing us how to make these card, Stampin' Up! also issued a Pinterest challenge. The challenge is to make variations of these cards only using what comes in the kit. 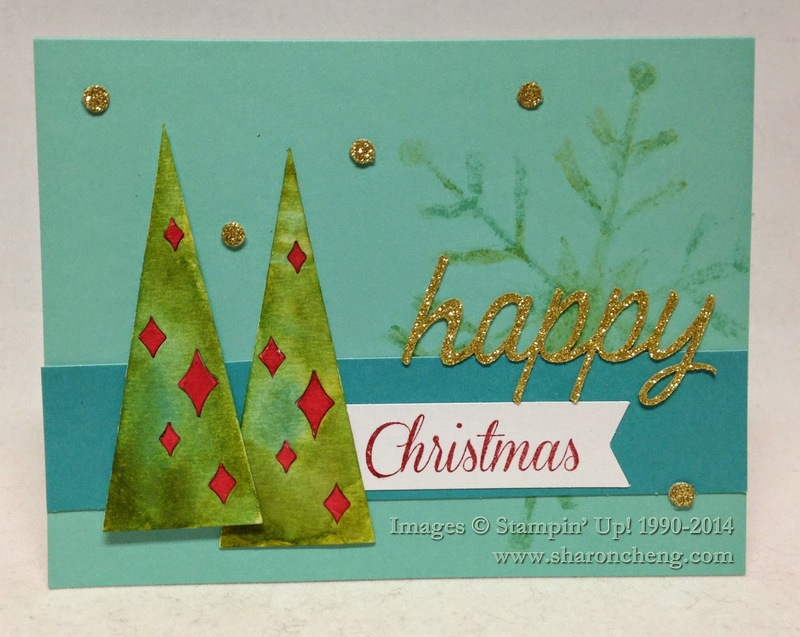 The card at the top of this post is the one that I'm posting on the Stampin' Up! board. I'd appreciate it if you would pin my card from Stampin' Up! 's board as that is part of the challenge. Here is Janet Holmes with the card she is posting on Stampin' Up! 's Pinterest board. Both Janet and her card are cute as can be. Be sure to check out the board to see all of the other variations!